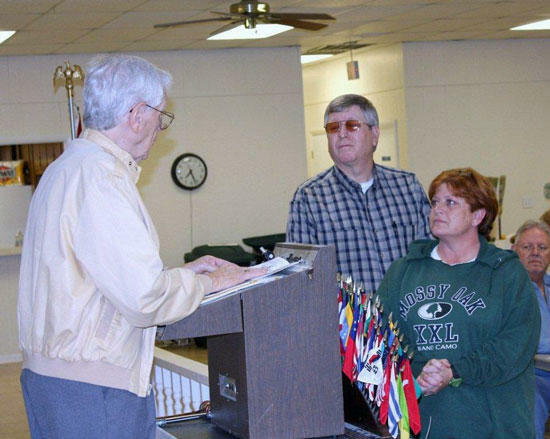 Past International President Austin Jennings holds an induction ceremony for newest Woodbury Lions Club member Katrina (Katy) Smithson along with her sponsor Lion Bobby Bogard. Induction was at a regular meeting of the Woodbury Lions Club on Monday, Feb 28, 2011. I am so proud of you Katy! Do good things for others, that's something to be proud of!